Carmageddon Weekend is upon us. 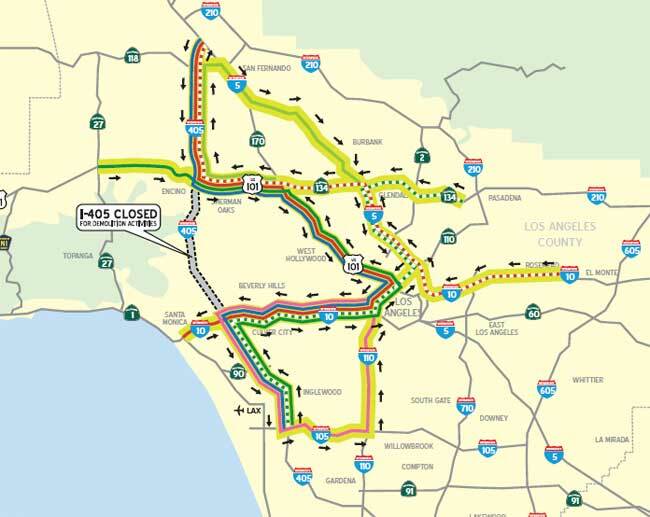 Select off-ramps start closing at 7pm tonight and the 405 freeway officially closes at midnight. As you already know the best thing to do is to plan activities local to your home. Try to go car-free if at all possible. Depending on where exactly you are going you may want to check a more detailed detour route. The official Metro website has created maps and guides for every ramp and location that may be affected. You can see the full detour routes listed here. So now I must ask – are you guys going to be traveling or staying local this weekend?